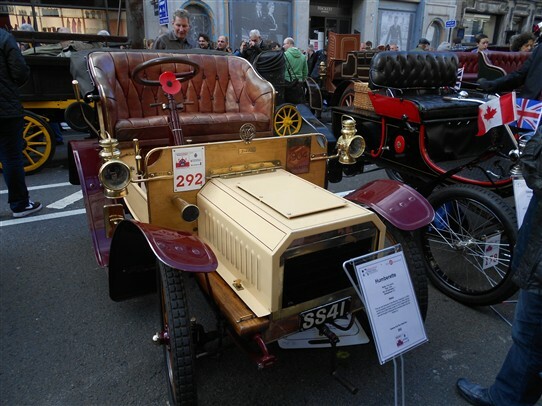 We follow the 100+ year old Veteran Cars made by a Notts manufacturer as they take part in the 2013 VCC run. 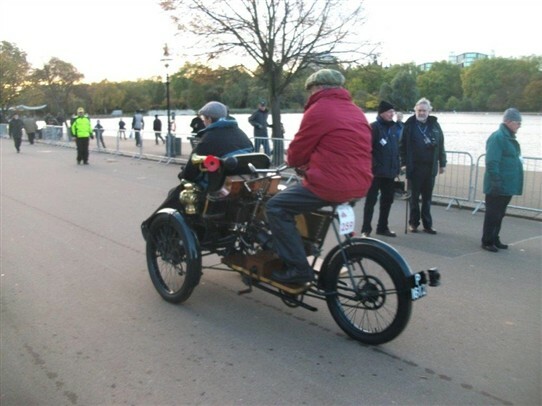 This years' annual London to Brighton run for road vehicles built before 1905 took place on Sunday 3rd November 2013 - and cars made by Nottinghamshire manufacturers took part. 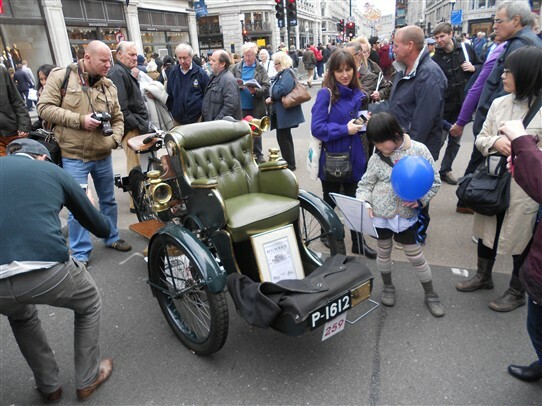 On the day before the Run, a selection of those taking part were displayed in London's Regent Street (which was closed for traffic!!). 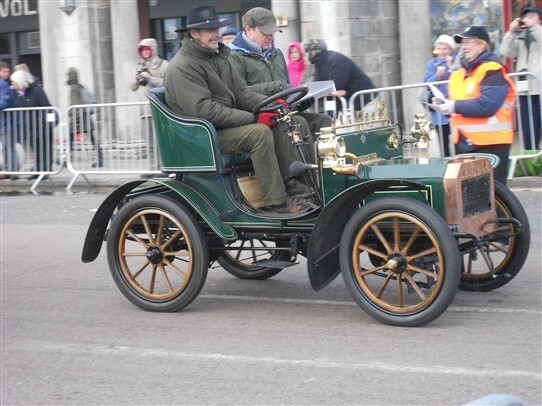 This 1904 Humberette (2 cylinder, 6.5hp) was made in Coventry by the Nottinghamshire (Beeston) based Humber Motor Co. 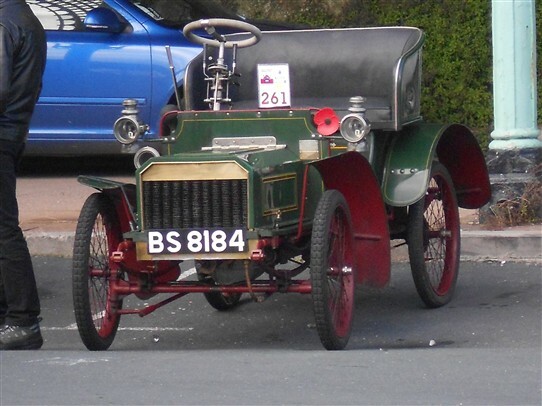 Arriving at Brighton (Madeira Drive along the seafront) after successfully completing the run is this 1904 Humberette (LKX 3) - probably Coventry-made, but with a 3-speed gearbox as per the Beeston models. 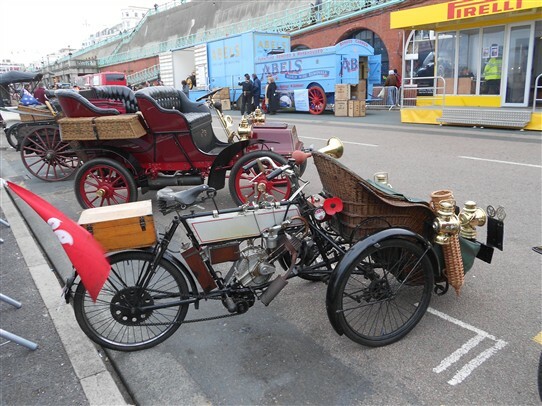 A second Humber Olympia Tandem Forecar completed the run to Brighton. 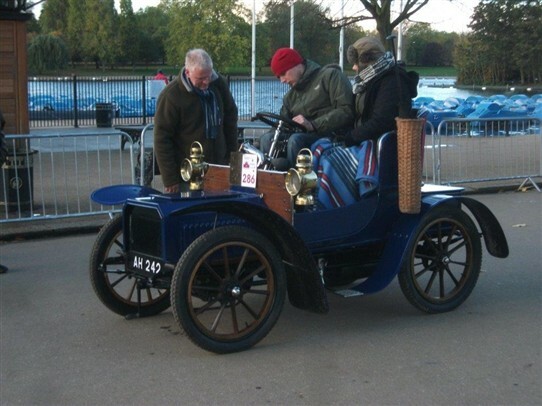 This one shows the earlier wicker passenger seat. This page was added by Website Administrator on 11/11/2013.